This year marks Carmela’s 33rd year in Real Estate. 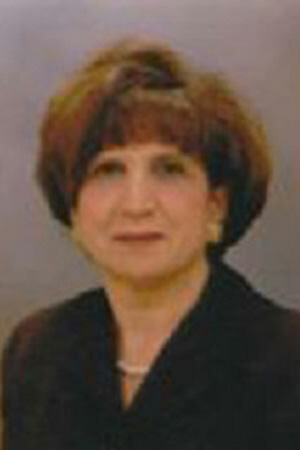 Carmela has received numerous awards as a top producer for other Agencies before opening up her own Brokerage in 2009. Carmela feels her most significant accomplishments are the relationships she has made with both buyers and sellers. She contributes her success in the industry by following what she believes is the basis of real estate sales: putting the needs of her clients first and foremost. As a result, about 85% of her business comes from personal referrals and repeat business achieved by giving outstanding customer service, both during and after the transaction. This is the foundation on which Fortune Realty of LI was founded. She works with a talented family team of agents, available to her clients seven days a week. Carmela and her team will address every aspect of your real estate transaction with three times the manpower and attention. She believes in a strong worth ethic by being diligent and efficient with every transaction, and always working with the highest degree of integrity. She also applies her well-earned real estate savvy and strong negotiating skills to help her clients maximize their real estate dollar. Carmela and her team assist in every step of buying/selling a home and offer an array of services outside of the norm, including assistance in tax grievances, certificate of occupancy issues, home staging, handyman issues, and much more. They also offer expert Short Sale and pre-foreclosure expertise in the event that you are struggling with your current mortgage situation. As a wife, mother, and grandmother, Carmela understands the true meaning of a home and its importance in her client’s lives. Buying or selling a home can be an enormous and emotional commitment. Market knowledge, skill and self-assurance enable Carmela to provide expert guidance, assess and evaluate the most complex real estate situations and propose courses of action on her client’s behalf with the confidence of a seasoned professional. Let Carmela’s vast experience and impeccable reputation work for you. You were such a pleasure to work with....We want to thank you for your thoughtfulness. We also want to thank you for all that you have done for us from the open house all the way to the closing table. You were such a pleasure to work with and very ... accommodating! We hope to see you soon. Please stay in touch! Anytime you are in the neighborhood, PLEASE come knock on the door (you know the address!). We are very thankful! They made us feel very comfortable at all times. My Husband and I have had the pleasure of working with Carmela as well as Jonathan Kaiser and not only are they wonderful people, they are great at what they do! They helped find our beautiful home, walked us through every ... step as first time homeowners and made us feel very comfortable at all times. They were very available when we needed them, even for the smallest of questions! They turned the homeowning process into a wonderful experience for the both of us and we are very grateful for all they have done. We will definitely turn to Carmela and Jonathan in the future when buying our next home! I used Fortune Realty of LI to buy my first home, I chose to go with this company because they were willing to work with us throughout the home buying process, tell us what to expect and guide us through. They led us through the process as a friend, not ... as my realtor, and that alone made the choice of using this company well worth it. As this was our first home purchase I didn't really have expectations of a real estate company, so to say that they blew us away with their effort and care is an understatement. Because of the way they do business, it is impossible for us to use any other company in the future, since I believe no other realtor will go to the lengths that this company will for their customers. I will definitely be using them to buy my second home in the future and would recommend them to anyone. We wholeheartedly owe our thanks to Fortune Realty. It was without a doubt that we wanted to find our first home with Fortune Realty. We talked with our realtor for approximately a year before we were officially looking for a house on Long Island. When the time came we worked ... closely with our realtor to help us narrow down exactly what we were looking for in not only a house, but in our first home. Thanks to our Realtor's hard work we fell in love with the first house we saw. We put an offer in the day we saw it and it was accepted right away. We wholeheartedly owe our thanks to the Fortune Realty team and to our realtor, Jonathan Kaiser for helping us find the home we love. It is with complete confidence that we endorse Carmela, Jonathan and Jason Kaiser of Fortune Realty due to their dedication, professionalism and expertise in Real Estate.